Zurich is one of the leading life science centers in Europe. Academic excellence, high profile education programs and the high quality of life render Zurich not only very competitive in the global market for talent at student and professorial, but increasingly at the entrepreneurial level too. The LSZ booklet (PDF, 4577 KB) gives you an overview of all the life science institutions in the greater Zurich area. Life Science Zurich Communication & Events realises exhibitions, science slams, panel discussions, talks, competitions and a number of other events! LSZ Communication & Events also supports researchers with the organisation of scientific meetings. You can find more information about our events on activities. The Life Science Zurich newsletter informs you about ongoing events. You can subscribe to the newsletter here. 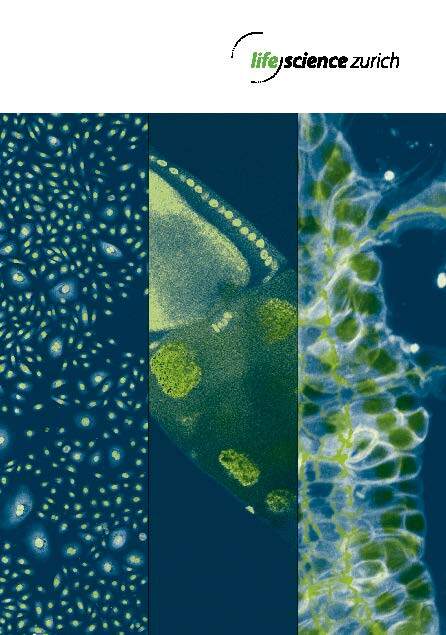 At the University of Zurich and at ETH Zurich, Life Science research covers a huge range of different topics. There is plenty of new information about all these research activities is every day and you easily lose track of what is really important. On our News page, we publish reports and articles on new and relevant findings in life science research in Zurich. If you are looking for more detailed knowledge of a specific subject you might find an answer here. If you miss a specific research topic, please let us know.